S 1/c Ervie C. Givens, son of G.C. Givens, attended Tipton School; husband of the former Ina Belle Wade. Entered Navy in June, 1943, trained in San Diego, Cal. 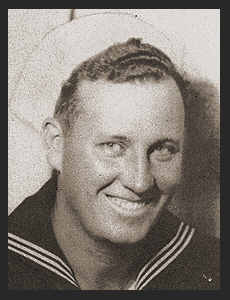 ; served in Okinawa, Japan, Hawaii, the Gilberts, the Marshalls,and the Philippines; was discharged in Oct. 1945. Awarded Asiatic Pacific Ribbon with seven Battle Stars, Philippine Liv. Ribbon with two Battle Stars, Am. Theatre Ribbon.